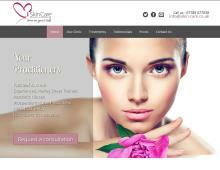 iSkin Care provide anti-wrinkle treatments and Botox in Bournemouth and Poole. Anna & Rachael are fully insured and registered nurses who are Harley Street trained and medically qualified. Working from the clinic in Lilliput, overlooking Poole harbour, clients travel from all over the Poole, Bournemouth & East Dorset area to rejuvenate their skin. Anti-wrinkle treatments - Botox ® – quick and pain free for a natural appearance. Dermal Fillers – to add volume and sculpt areas of the face. Chemical Skin Peel – providing an excellent anti-ageing regime. Hyperhidrosis treatment – Botox ® to prevent excessive sweating. iSkin Care offer introductory discounts, wedding packages, skincare programmes and rewards for recommending a friend.